The recommendation comes within the UK’s first ever National Infrastructure Assessment, in effect a study of how the country’s infrastructure must adapt and evolve over the coming years. 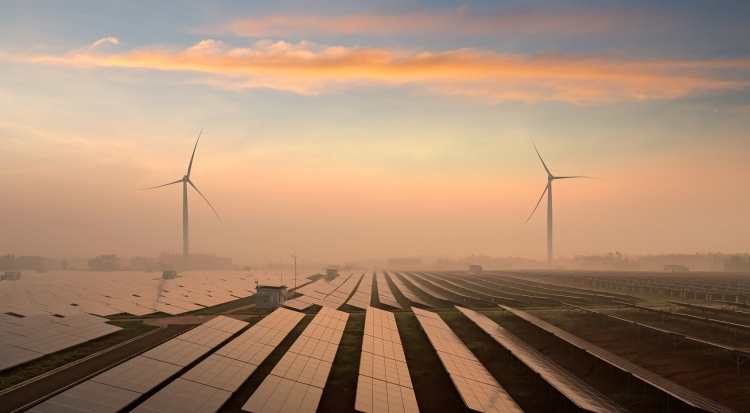 The country’s energy system is a key consideration within the assessment and the NIC – established by former chancellor George Osborne – is clear in its recommendation that the country derive at least half of its power from renewable sources by 2030. This, the NIC states, citing its own modelling, could be achieved at no additional cost to the consumer. It claims that average consumer bills for all energy consumption could remain at the same level – in today’s terms – with a low carbon system by 2050, but only if the correct decisions are taken now. It points towards a “quiet revolution” in renewable power and claims there to be “ample scope” for the UK to build on recent successes in years to come. Greater quantities of renewable power could be built at costs comparable to the controversial new nuclear facility at Hinkley Point C and cheaper than carbon capture and storage plant, leading the NIC to conclude that the government should change course and place it on the path to more renewables. Its recommendation is therefore that the “crucial first step” the government should take is to enable further deployment of renewables, and not agree to support more than one nuclear power station beyond Hinkley Point C. The government has already committed to support a further nuclear project at Wylfa Newydd in North Wales. Instead, the NIC recommends that the government bring the cheapest forms of generation – solar and onshore wind – in from the cold and allow them to compete in auctions, with clear pipelines, dates and budgets for those auctions to take place. The NIC’s recommendations bear striking similarities to that of a number of other government bodies, including the Committee on Climate Change which has repeatedly argued for low cost renewables to be brought back into the fold, and energy regulator Ofgem.